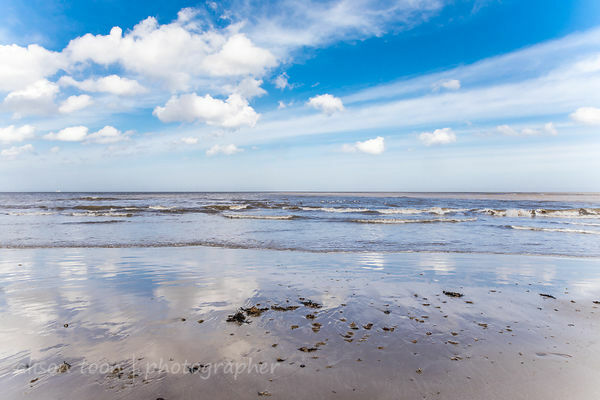 I took Miles Kennedy for a walk along the beach, from Cromer to Sheringham, earlier today. No not literally, though I'm sure he would have been good company; rather, I took myself for a walk, with Myles Kennedy's new album, Year of the Tiger, as the soundtrack. The album was released late last week: after listening to it several times at home, it deserved to be accompanied by the beauty of the beach. When you're walking on pebbles, trying not to twist an ankle or wrench a knee or drop the camera: stopping every so often to photograph the clouds, the sky reflected on damp sand, then clambering over sea-worn wood and rusty metal steps that end way too high above the sand... skirting the newest earth-slips from the rain-soaked cliffs, then you're not studying the music, note-by-note, but rather absorbing the essence of the album. These are the thoughts Year of the Tiger gave me, this morning: family, love, loss... a father, gone: a a mother, struggling: a child... longing to understand. How you manage to carry on. Myles' guitar, plus a touch of bluesy-grassy-roots-hearted Americana in the banjo and steel guitar, serene slide, and a vocal range that compares with both Buckleys, father and son. If you've listened to Alter Bridge, this isn't Alter Bridge. If you've heard Myles Kennedy with Slash, this isn't Slash. This is personal. It tells a story. 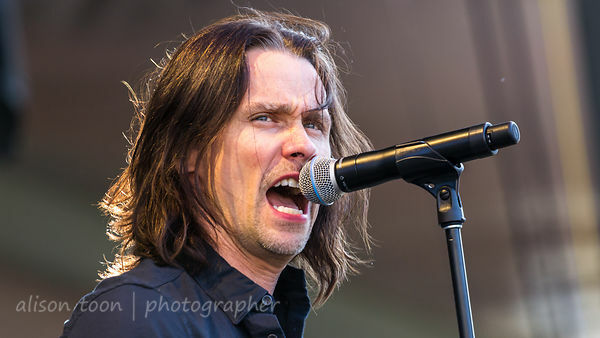 Myles Kennedy lost his father at an early age, and this story, sometimes though his eyes, sometimes his mother's--has been a long time coming. There's an explanation here. Each song is a gem. "Through our tragedies we find out who we are." Year Of The Tiger sets the pace; The Great Beyond is huge... but the song that I keep replaying is song 10, "Love Can Only Heal". The beach. A walk from Cromer to Sheringham. 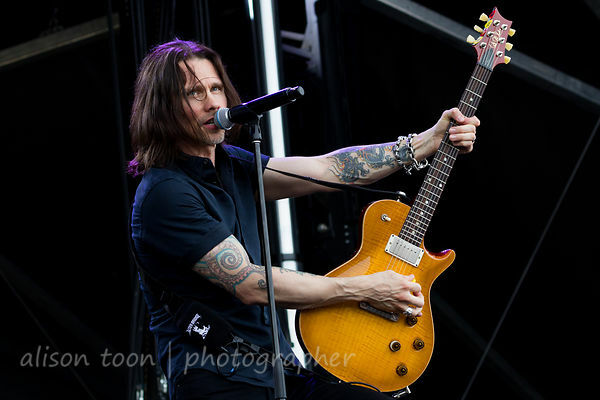 Myles Kennedy is currently on tour in Europe and the UK, with dates in Birmingham, Nottingham, Manchester, Glasgow, London, followed by shows in the USA. Full tour info and tickets here on his website (scroll down on the home page). I listened to the album several times on my walk. I didn't write Myles' name in the sand. Though I freely admit: the thought did cross my mind.